As a capital of good fun, Belgrade is ranking as one of the best destinations for clubbing in Europe. Why Belgrade? Because from Monday till Sunday you will find best parties till the late morning hours. 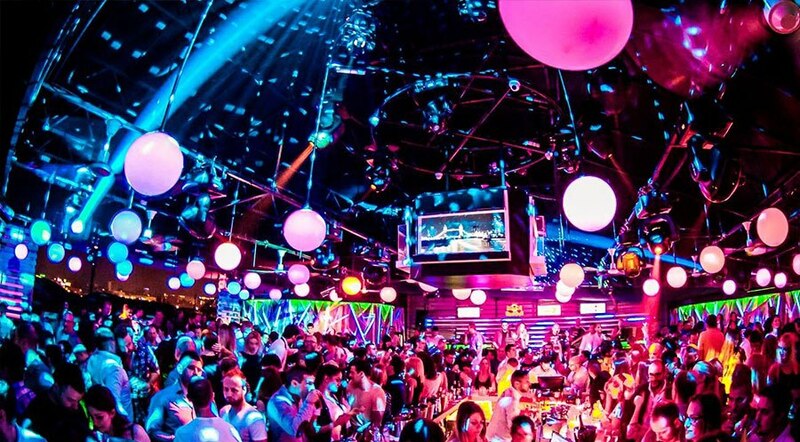 Lets make it simple: There are many great warm up bars to start with (best is to visit them from 8 or 9 pm till midnight), then all the night clubs are opening from midnight, and if that’s not enough for you (they all work till 5 am), there are several after party clubs which work till 7 am. Seasons: Firstly, Belgrade have two clubbing seasons: winter and summer one. The winter ones are indoor clubs which are usually open from late September to early May. They all are located near or in the city center, where all the fun is, but they are closed when the summer season comes since the big openings of summer clubs start. These floating river clubs called “splavs” (splavovi) are the main location for the best parties in this part of the world. Reservations: Reservation is a must. Why? Because Belgrade doesn’t have a dance floors, have a space at the bar, bar tables and VIP tables. In order to be on a guest list contact our concierge service which is FREE of charge and make your reservation on time, because without reservation, there is no guarantee that you will enter the club. Dress code: Like anywhere in the world, all the clubs in Belgrade have a dress code as well. Dress properly or risk not being able to enter the clubs. Still, Belgrade is a city break destination, an European capital, not a beach bar. Face Control: In our clubs, security at the entrance is providing face control, strict but fair. What that means? Age limits is something what is important to check before heading to the particular club. Every club have different age limit. And if you look younger, bring your ID better. Also what face control means is that you can’t “warm up” too much in pubs or bars before the clubs, you need to enter as a gentleman. Entrance fees: There is no entrance fees for mainstream clubs. Alternative and after party clubs do not have reservations but sometimes they charge several euros for entry fee. Tips: Tips for the waiters are not included in the bill, normally it is 10% of the bill you make in the club, so have that in mind when you are paying. Also, during the winter seasons, mostly all the clubs are charging for cloakrooms. It is around 1,5 Euros per jacket. When we are speaking about Belgrade nightlife tips, we need to mention Do’s and Don’ts. For example, Serbian people are very friendly and you will make friends in no time. Most frequently asked question is where you’re gonna find the most beautiful girls or boys in Belgrade? You’ll find them everywhere. Serbian women are among the most beautiful in the world and you will be stand! Do’s: Always be polite! Be friendly and maybe the best starter is to send a drink to girl you like. That is a first step, and after that, you will see by her reaction how would you proceed. Make a girl laugh! Don’ts: If she obviously have a boyfriend, like in any country, you don’t have a chance, and can be rude to approach in that manner. Don’t ignore her friends! Pay attention to all of them at the beginning. If a girl is not interested, she wont be either after bothering her multiple times during the evening. She can be annoyed in some moment. Was this helpful for how to survive Belgrade nightlife? If you have some questions, please live a comment bellow! You want to share some experience? We are all ears!